Have You Tried Our Award Winning Eye Cream? 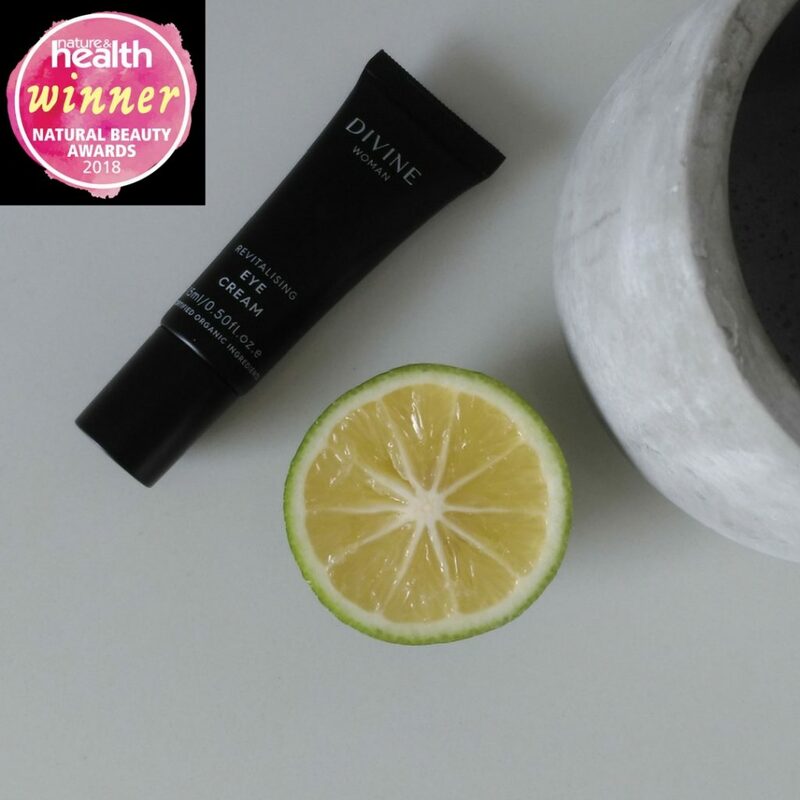 We are so excited that our Divine Woman Revitalising Eye Cream has been awarded 2018 Nature and Health Natural Beauty award winner! If you haven’t had a chance to try this amazing eye cream it truly does help reduce the sign of ageing and leave you with luminous skin! An age defying eye cream rich in Vitamin A, Omega 3 fatty acids and Papaya Fruit Extract to gently refine the sensitive skin around the eyes. This skin brightening Eye Cream promotes collagen production to reduce fine lines and puffiness whilst nourishing plant based oils give the delicate eye area a youthful glow. High active Certified Organic Ingredients mean that we are using the best nature has to offer to give you noticeable results. The active ingredients in the Divine Woman Revitalising Eye Cream include:Mountain Pepper Berry (Tasmannia Lanceolata Fruit Extract) – rich in flavonoids, Mountain Pepper Berry is a potent anti inflammatory to reduce redness and skin irritations. Carrot Tissue Oil – A proactive anti-ageing ingredient rich in carotenoids – an antioxidant – eliminating free radical cells within the skin. Papaya Fruit Extract – Provides a mild enzymatic exfoliation effect on the skin to help remove any superficial dead skin cell build up and brighten the skin. Vigna Aconitifolia Seed Extract – A botanical alternative to retinol, however not sun sensitive, clinically proven to reduce wrinkle depth as it stimulates cellular renewal and collagen synthesis for wrinkle reduction. Chia Seed Oil – Provides the richest source of Omega 3 not found in the ocean, penetrating the skin helping to reduce redness, inflammation and skin sensitivities. To help you make the Revitalising Eye Cream part of your everyday skin care routine, we are offering a FREE Revitalising Eye Cream, valued at $64.95, when you purchase either the Divine Woman Hydrating Series or Purifying Series. Just enter the code DAYNIGHT at checkout and the Eye Cream will be added to your order!